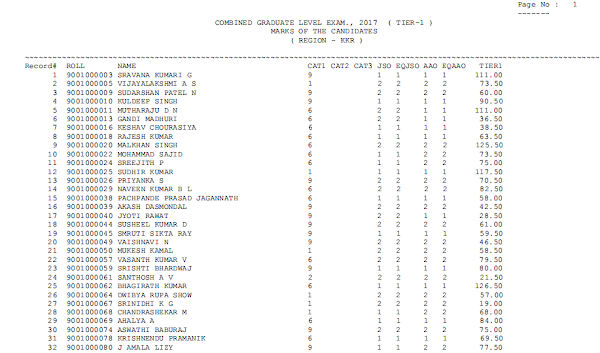 SSC Released Score Card of CGL 2017 Tier I examination, Candidate can check their score now. Staff Selection Commission released score card for the Combined Graduate Level Exam 2017. Candidates can check their Score Card from the official website of SSC at ssc.nic.in or from the direct link of score card given below.